One of the largest and most visited parks in all of South America, Torres Del Paines National Park is truly unique in its beauty. The nearly 450,000 acre park is located in the Magallanes Region of Chile, and features glaciers, lakes, mountains, caves, rivers and more. The tourism hot-spot has something for everyone, and is the type of place you should be putting on a bucket-list. Due of the variety of scenery, there are ample things to do. The most popular being hiking and horseback riding. You can take on a number of “circuits”, some as short as 3 days and others as long as 12, where you hike, ride and raft your way across the beautiful landscape. The highlight, in my opinion, would be the Glacier Grey navigation tour, where you and 89 other passengers hop on a ferry-sized boat and travel along the floating glaciers. The 3-hour tour will surely get you cold, but seeing the gigantuan ice move across the water will be worth it. 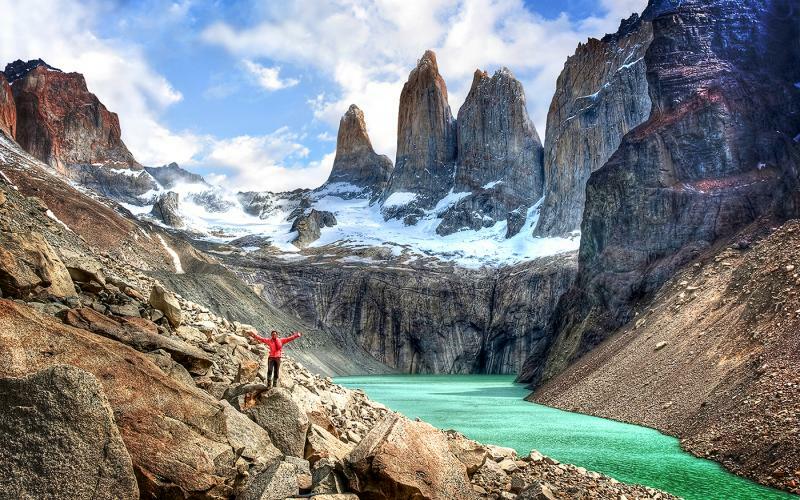 There is much more to do at Torres Del Paine, and luckily, staying at the park is a breeze. They have a nice selection of hotels, and if you feeling adventurous, camping spots as well. Even if you do decide to tent it, don’t worry about making your own food. The park has 3 distinguished restaurants, all with a view- perfect for a gourmet meal, a romantic night out, or both! 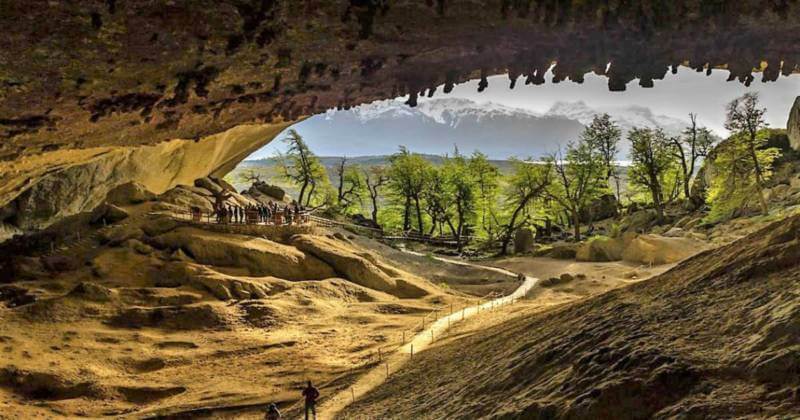 Get your flashlight out for this final stop on the tour, the Milodon Cave. The 600-foot cave will have you following a wooden path deeper and deeper downhill into the cave, exploring the rich history associated with it. In fact, the cave gets its name from the Mylodon Sloth, that are now extinct, but at time of existence were over 9 feet tail to trout. Some of the final surviving bones and artifacts from the creature exist in the caves today. 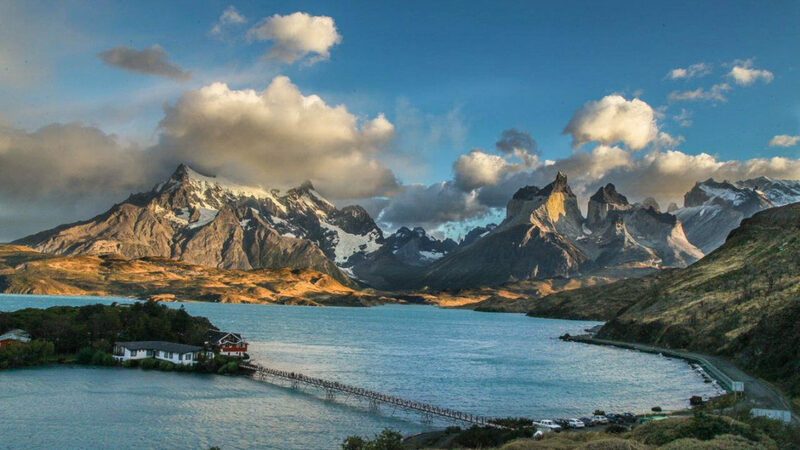 If you are looking to book a trip to Chile anytime soon, make sure to put the Torres Del Paine in your itinerary. The vast, ever-changing landscape is a sight for fresh eyes, to say the least. Oh and don’t forget to share your findings on GLYD!